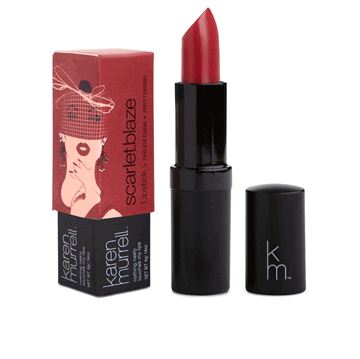 Karen Murrell Lipstick Racy Rata is a deep maroon shade will make you feel like a sultry kitten. 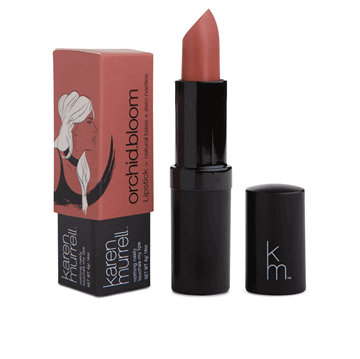 This shade compliments both light to medium skin tones and is perfect with any pretty outfit! 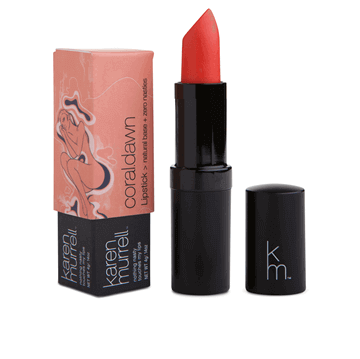 Containing rich, lip nourishing ingredients such as Jojoba, Avocado and Evening Primrose Oil, KM lipsticks are designed to condition your lips with each wear. 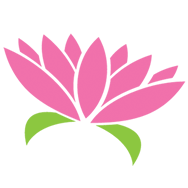 The all natural formula is toxin-free, without the nasties like parabens, lead, mineral oils, and preservatives. You will love the high functioning lip shades knowing that they are cruelty free and also better for the environment! Ricinus Communis (Castor) Seed Oil, Euphorbia Cerifera (Candelilla) Wax, Simmondsia Chinensis (Jojoba) Esters, Isopropyl Jojobate, Simmondsia Chinensis (Jojoba) Alcohol, Copernicia Cerifera (Carnauba) Wax, Ethylhexyl Palmitate, Caprylic/Capric Triglyceride, Cera Alba (Beeswax), Persea Gratissima (Avocado) Oil, Limonene, Calendula Officinalis (Calendula) Oil, Simmondsia Chinensis (Jojoba) Seed Oil, Tocopheryl Acetate, Cinnamal, Oenothera Biennis (Evening Primrose) Oil, Butyrospermum Parkii Butter (Shea), Cinnamomum Cassia (Cinnamon) Oil, Citrus Sinensis (Sweet Orange) Oil, Linalool, Eugenol, Tocopherol. MAY CONTAIN: CI 77019 (Mica), CI 77891 (Titanium Dioxide), CI 77491 (Iron Oxide), CI 77492 (Iron Oxide), CI 77499 (Iron Oxide), CI 15850 (Red 6 Lake, Red 7 Lake), CI 45410 (Red 27 Lake), CI 17200 (Red 33 Lake), CI 19140 (Yellow 5 Lake), CI 45370 (Orange 5 Lake), CI 42090 (Blue 1 Lake), CI 77861 (Tin Oxide), Calcium Aluminium Borosilicate, Calcium Sodium Borosilicate, Silica, Corn (Zea Mays) Starch. Lovely color and good smell...I'd like to try another colour soon!